Malaysia is named as one of the ASEAN countries that has the highest prevalence of obesity among children and adolescence with 23.7% of our children and adolescent being obese. With food, it is always a matter of balance. Obesity can be linked to eating habits that are learned from young with overweight children often becoming overweight or obese adults. Cultural factors are also one of the contributing elements to the steady rise of obesity prevalence in Malaysia as most of popular Malaysian foods include deep fried snacks and dishes heavy in fat, with very little variety in their meals. This is why Ayam Brand™, a Malaysian favorite for 126 years is holding a nationwide Healthy KIDS Food Festival to fuel better food choices as part of its annual corporate social responsibility program. This year’s charity campaign aims to empower children to make their own food choices through engaging and interactive activities that help them identify the main food groups, understand portion size and make more informed food choices on how nutritious food can positively shape their bodies. Ayam Brand™ emphasizes the contribution of its products to participating charity homes as many of these homes lack regular access to good sources of nutrients, that are essential for children’s health and growth. Now in its eleventh year the Ayam Brand Community Care Campaign has reached approximately 20,000 people from 482 charity organizations, providing them with 1,404,000 healthy and convenient meals! Among the engaging workshop session were ‘Yay or Nay’ where kids can learn to identify and differentiate between healthy and unhealthy food choices, crosswords on the benefits of Omega 3 and DHA at the ‘Crossword’ booth, the ‘Healthy Plate’ booth where children work together to determine the quantity of different food groups in a balanced diet and the ‘DIY’ booth for kids to plate their own Nasi Lemak Tuna based on what they have learned. Children need Omega-3, an essential fatty acid that is not produced by our bodies for the development of sight and the brain. Parents and caregivers can add Omega-3 rich foods such as sardines, mackerel and tuna to children’s diets. For children who do not like the smell of fish, parents need to be creative and can check www.ayambrand.com.my for a wide range of kid-friendly recipes. The coconut has achieved global superfood status for its healthy fat content. This is good news for Malaysians who love creamy foods such as Nasi Lemak. As part of the Healthy KIDS Food Festival, Ayam Brand™ introduced a healthier, quicker and more convenient Nasi Lemak that uses the brand’s coconut milk, and Light Chilli Tuna as sambal, straight from the can topped with boiled egg, fresh cucumber, groundnuts and anchovies for a tasty and nutritious meal. Children who attended the workshop learned the correct portions of each item for a healthier diet. “Many Malaysians make food choices without considering the long-term effects on their health. Parents need to lead by example and help kids understand and make a habit of nutritious, balanced diets from childhood. We’re so pleased that the kids today grasped the basics of healthy eating so quickly. 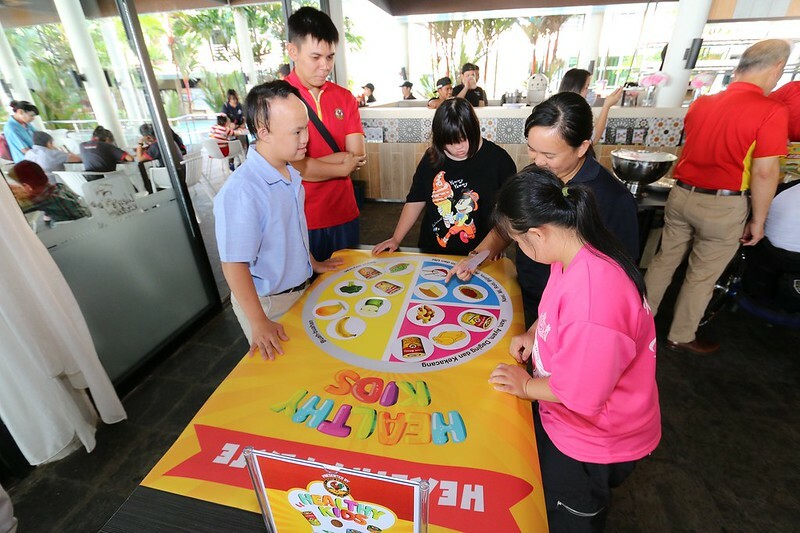 Parents and caregivers can try some of the workshop activities that we’ve developed that are simple and can be done in any home,” said Mr Stanley Wang. Rumah Amal Kasih Kingfisher, Seri Mengasih, Sabah Cheshire Home and Pusat Kebajikan Care Haven from Sabah received two months’ supply of Ayam Brand products including sardines, mackerel, tuna and coconut milk products sufficient for two months daily meals for all the children under their care. According to Pn Nooraisah, a representative from Rumah Amal Kasih Kingfisher, the contribution of Ayam Brand™ products which are without preservatives or added MSG is much appreciated as it is a healthy, fast and convenient addition to their daily diet. “We are grateful to Ayam Brand™ for inviting Rumah Amal Kasih Kingfisher to join in this event and for the generous contribution of their convenient, nutritious and delicious products. The children had a lot of fun today and learned nutritional tips from the activity booths. 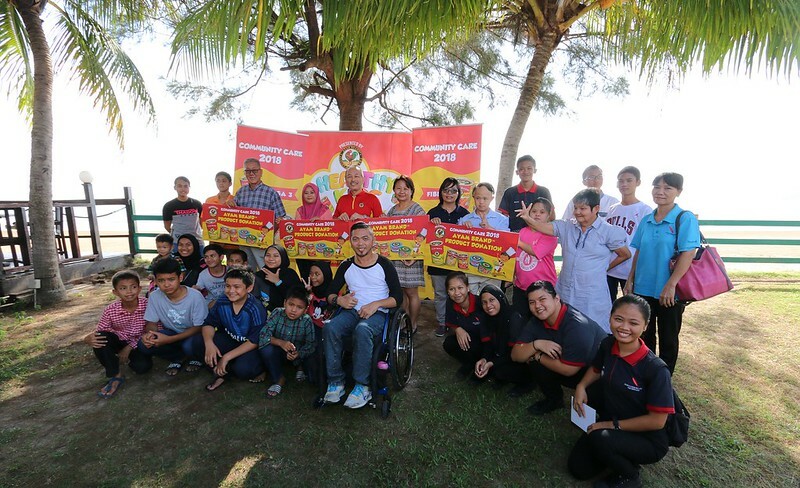 We will be running some of the workshop activities at Rumah Amal Kasih Kingfisher soon because from what we observed today it can help the kids pick up the lifelong habit of healthy eating,” said Pn Nooraisah. For more information on Ayam Brand™, please visit www.ayambrand.com.my or https://www.facebook.com/AyamBrand.Recipes.